Ohioans have spoken: Marijuana – neither medicinal or recreational – should be legalized. While other states have legalized pot in medicinal, recreational, or both forms, Ohioan have taken a stand against it. While it is proven to provide therapeutic care for those with terminal illnesses, and recreational pot will sale whether it is legal or not, this no-go is not only impacting Ohio, but the entire country. Lawmakers tend to not totally understand what the public wants, but when something is voted against, they listen. 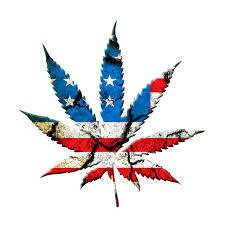 Congressmen want to keep their jobs, and since Senator Bernie Sanders from Vermont (who is also a Democratic Presidential candidate) filed a bill for decriminalization of the drug federally, this one state vote could prove important. While few agree with the rulings of the federal government, they can agree when people of a state vote for or against something. Senator Sanders bill may be DOA for many due to the Ohio vote. No one wants to anger their constituents, or appear that the Feds are more important than their own people. This leads to losing re-election, which is something that no one in the Congress or Senate wants. Even so, more and more states are voting to legalize the drug. This leads to huge tax revenues that are helping to improve cities and states, as well as the overall lives of its citizens. Even if someone does not partake in the drug, he can appreciate increased school funding, infrastructure funding, and booming downtown areas. Merchants can also appreciate a new business venture, but getting started in the legalized marijuana business is one of the toughest “high risk” fields. While traditional “high risk” merchants have a tough time getting funding or a merchant account, an added catch can bring a marijuana merchant’s attempts to a standstill. Banks process plastic card payments – and banks are monitored by the Feds. The Feds have criminalized marijuana, even in state where it is legalized. Federal law trumps state law, so many merchants are stuck with “Cash Only” businesses. This should not happen, and marijuana merchants should look for a MMJ merchant account. This can save you the headache of having your account closed due to “high risk” matters, and an educated and experienced MMJ merchant account provider can help you further understand the ever-changing issues that come with the legalized marijuana industry. Contact MMA for Marijuana Payment Solutions today! This entry was posted in Ohio Marijuana and tagged Legal Ohio Marijuana, MMJ merchant account, Ohio Marijuana by admin. Bookmark the permalink.